More beautiful sadness from the progressive/metal Swedes. PR lines like “the bleakest of metaphysical winters” and “mankind’s inevitable demise” don’t exactly scream ‘party time!’. They do, however, indicate the kind of depth and gravitas at work in the brooding Swedes’ 10th studio album. Beautifully, engrossingly, at times overwhelmingly depressing, The Fall Of Hearts revolves around one predominant, fairly bleak mood. It never really changes either, in keeping with their previous LP, 2012’s Dead End Kings. Happily, Jonas Renkse and co are masters at this sort of first-class melancholia, so the overall effect is transportive, rather than dull, the band stirring progressive, metal and darkly folky strains into one pensive, progressive stew. Not that it’s devoid of dynamics, peppered as it is with orchestral touches, acoustic folk moments and well-placed metal crunch. Elsewhere, Sanction reaches a grandiose, Dream Theater-tinged scale, contrasting with softer, earthy tones in the likes of Shifts. 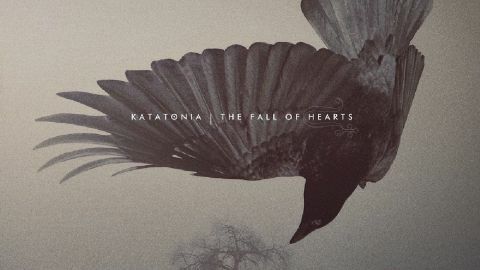 More of the same, then, but for bleak Scandinavian beauty, Katatonia are still hard to beat.